I should have posted another Mini Tip Tutorial today but instead I'm going to show you what I've been knitting lately. I've decided to do Mini Tip Tutorials twice a month instead of every week. The first and the third Monday of each month, I'll post a new tutorial. If there's any topic you'd like me to cover, do let me know. Today, I wanted to show you what's on my needles. During Unravel I managed to work a bit on my sock in progress. 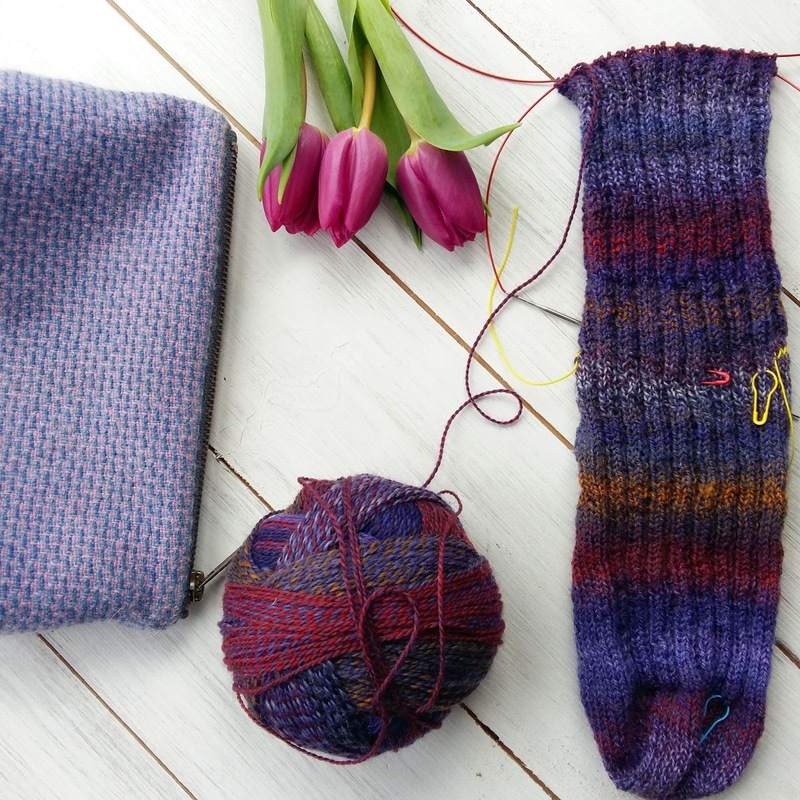 I've only got a few rounds left on this sock and really should just finish it. It will probably take me less than half an hour. I've still got the second sock to knit of course. I've been focusing on two projects over the last week. I'm halfway through my The Yarn Collective Portland Lace design. I'm so excited about this shawl as it has a beautiful bead detail. I'd really like to finish it by the end of this week but that may be a bit challenging. 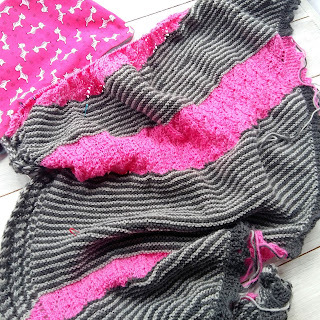 This weekend I've done lots of knitting on my stripey Lang shawl. I'm nearly halfway, I think. I'm loving how it's looking. I want this to be really big which means it'll take me longer to finish it. 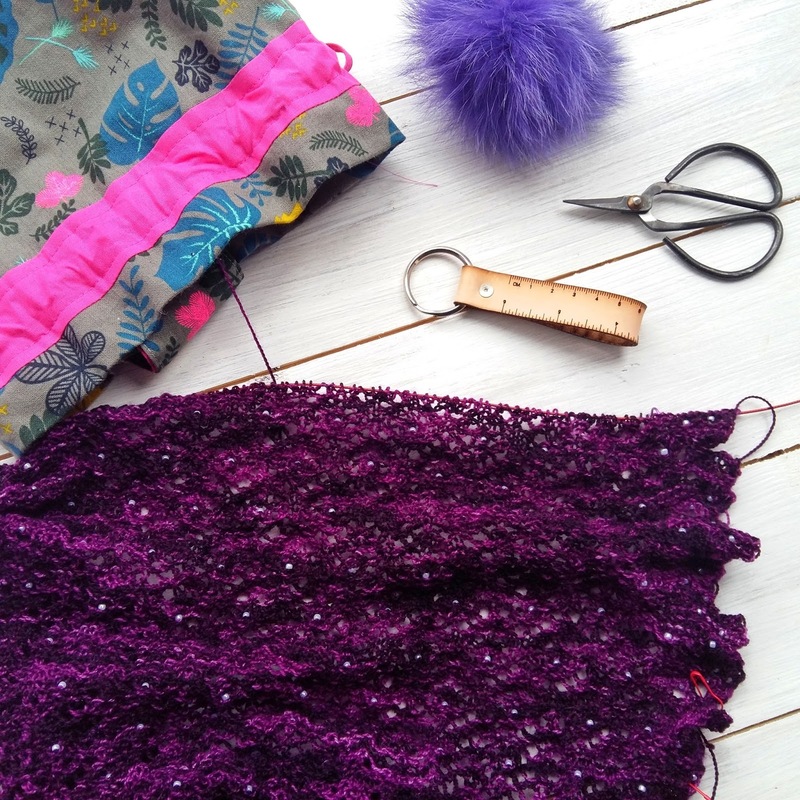 I've got an idea for a new shawl design brewing, so I need to finish these two shawls before I start anything else. 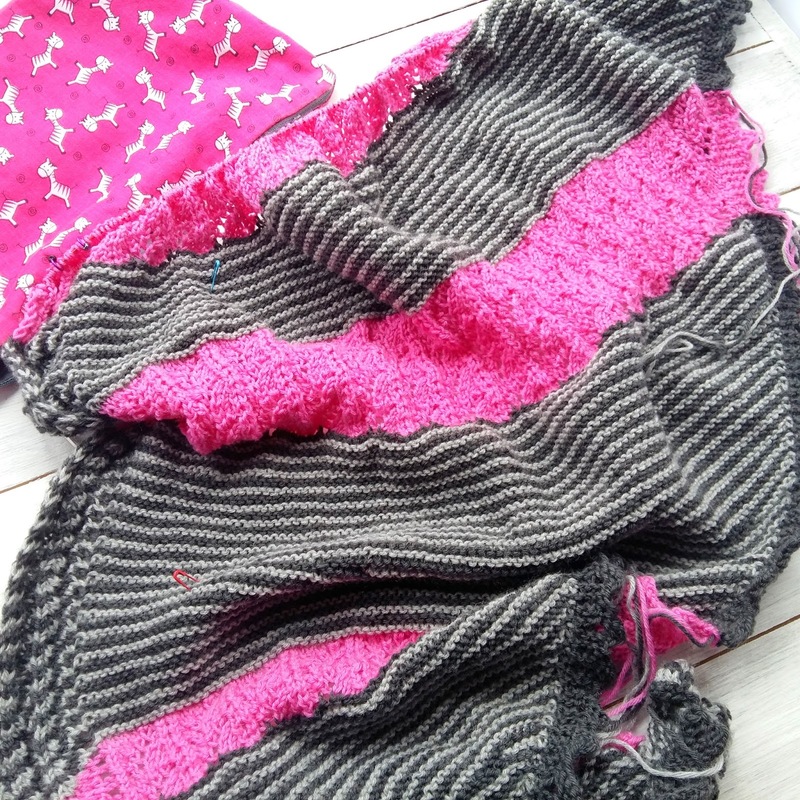 What are you knitting at the moment? Do tell me in the comments.